Klang is famous for two things. 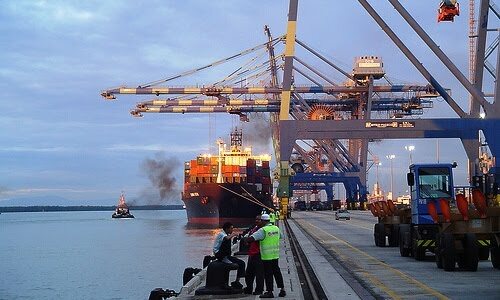 Firstly, the busiest port in the country, Port Klang, which greatly influences the economic progress of Malaysia. 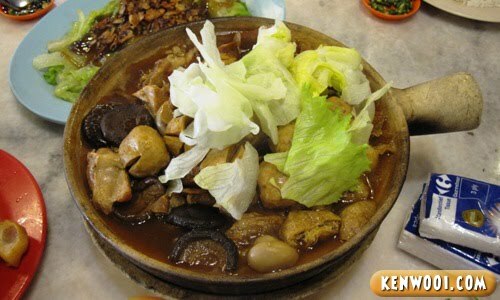 And secondly, the food – Bah Kut Teh. Well, it was a public holiday and my friends decided to go to Klang for Bah Kut Teh and also other local food. Hence, the road trip! Alright, let’s get started with our 1-day food adventure in Klang. 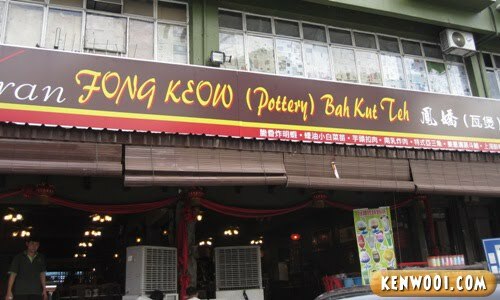 First destination in the morning is Fong Keow (Pottery) Bah Kut Teh Restaurant at Jalan Batai Laut. The presentation of this restaurant is unlike the ordinary outlets we usually see, this restaurant looks a little more “modern”, I guess. For the tea selection, there’s a basket with a variety of tea packets. I can’t remember what we chose though. Anyway, tea will always be tea. Now, on to the main course for breakfast! A big bowl of Bah Kut Teh with vegetables that costs RM10.00 per person. We add-on golden mushrooms and meat balls for RM5.00 each. 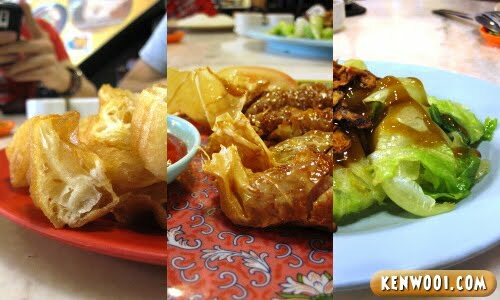 Other side dishes on the order list were yu char kueh (RM1.50), lo bak (RM3.00 each) and lettuce with oyster sauce (RM10.00). 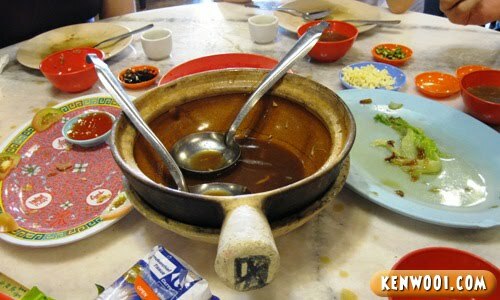 On a personal opinion, the Bah Kut Teh serving was good and the rest of the dishes were satisfying. Great breakfast. Next on the menu is Klang’s very own version of Cendol. It’s located along Jalan Nanas. Personally, I think the best Cendol I’ve had is from Penang Road. And I’ve never come across any other Cendol which is as good, if not better, than the one at Penang. So this is the chance to try out Klang’s Cendol. Each normal bowl costs RM1.70 whereas it’s RM2.20 for an extra scoop of ice-cream. My opinion? Well, no doubt it’s delicious – but still not as good as Penang Road’s famous Cendol. It lacks the sweetness, to be exact. After the dessert, we headed to Tanjung Harapan to look for seafood restaurants for lunch. 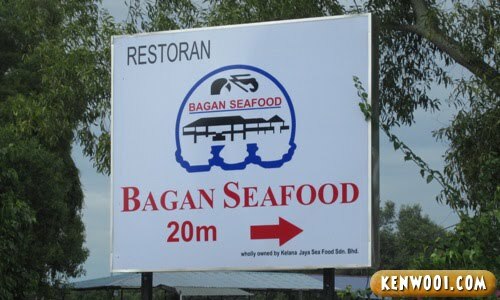 After searching high and low for the place, we finally reached Bagan Seafood Restaurant at Jalan Bagan Hailam. Tidbits were served, but we eventually asked the waiter to take back. 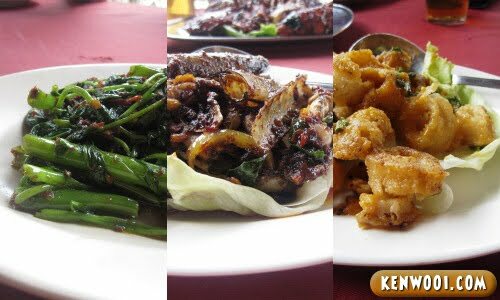 For the dishes, we ordered Kangkung Balacan (RM10.00), Bamboo Shell (RM11.00) and Fried Squid (10.00). Oh yeah, when we stepped into the restaurant, the first thing we ordered is crab! I’ve never had crab for a very long time already. 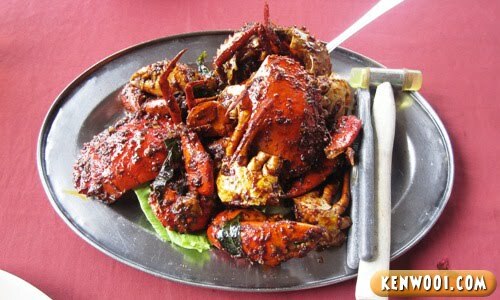 A plate of local crabs costs RM39.00/kg. We only ordered 1kg – seems little, but it’s enough to feed 5 hungry souls. The crabs served were slightly disappointing due to the fact that they weren’t fresh. Nevertheless, it was still tasty. Overall, the seafood dishes were a little pricey and the dining experience was just satisfactory. Basically, the portion of the dishes doesn’t reflect the amount we paid for. The crabs were just okay. No matter how dirty you get, no one’s gonna comment “KEN YOU DIRTY BOY! THIS IS HOW YOU EAT AH?”. thank you for writing on less-popular locations. Driving from Singapore, it is so easy to bypass “Klang”, “Shah Allam”. Now I know what I have missed ! BKT. nice nice klang BKT. 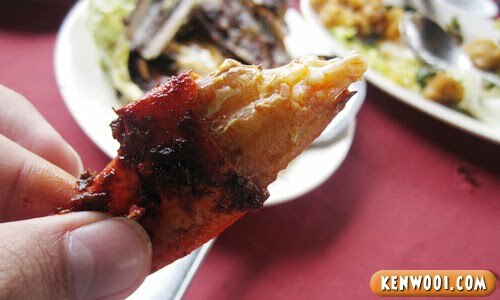 i had it yesterday too… waiting to post it..
i went to bagan seafood before ;D thats the best crab ever i’ve eaten! Fong Keow’s good? Hmmmm must try then. Alwiz go to Wing Heong when around the area. bat kut teh!! my favorite!!! muhahaha…coming to KL might turn you into a Food Blogger lor. 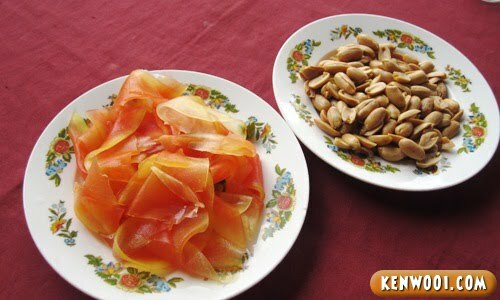 Delicious ya.. Your Jonathan friend looks a bit like Tekkaus minus the jangut of course haha. 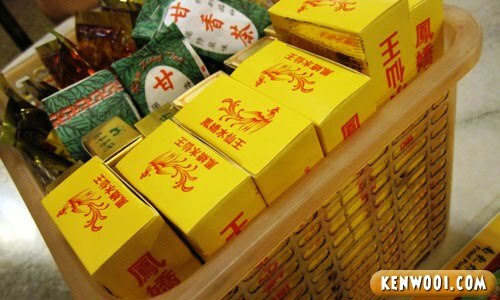 Wohh ken, u gonna be FAT! hahaha living in kl sure fat one.. 1 day can eat many meals.. I WANT CENDOL ICE CREAM!!!!! Furthermore you get FREE links from us. No obligations! P/S – You can submit other food-related content as well. There is no limit! There’s more that you missed, :D maybe you should try banana leaf rice next time! hey…i stayed in port klang for 20 yrs+++…you’ve been there? 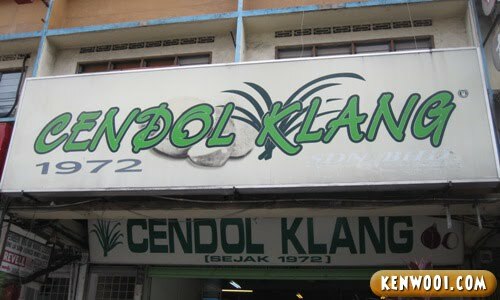 honestly i don’t like the famous cendol klang…i prefered Kuala Kangsar cendol..never try penang one. Ken, you dirty boy! Hahaha!! I don’t care if Penang cendol is nicer, I just want cendol ice cream now!! !